The club fields 1st, 2nd, & 3rd XIs in the Middlesex County Cricket League (MCCL) and a 4th XI in the 1987 League . 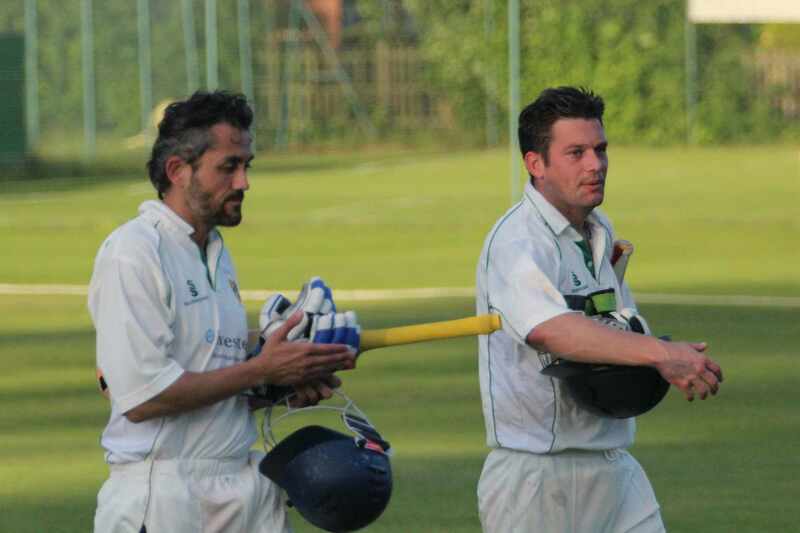 MCCL Matches start at 1.00 pm and last 100 overs, the side batting first allowed to bat for a maximum of 55 overs. 1987 League matches start at 1.30 pm and last 92 overs, the side batting first allowed to bat for a maximum 50 overs. The 1st & 2nd XIs play at Home, and Away at other clubs’ main grounds. The 3rd & 4th XIs play their Home games at King’s House School Grounds at Duke’s Meadows, Chiswick, and Away at other clubs’ alternate grounds. In addition to our league fixtures a number of friendly games are normally scheduled for pre-season. The 1st XI are entered into both The National Knockout Cup and The Middlesex Cup, which are both limited overs competitions (45 overs per side). We also have a Sunday League XI which plays in the Chess Valley League and is open to players of all standards. There are also a handful of friendly fixtures. On Bank Holiday Sunday at the end of May we usually host the Bush Super Sixes. This is a six-a-side tournament for all standards of player that always has a great attendance. There’s a barbecue during and a sound system after with a very social, party atmosphere that continues long into the night. 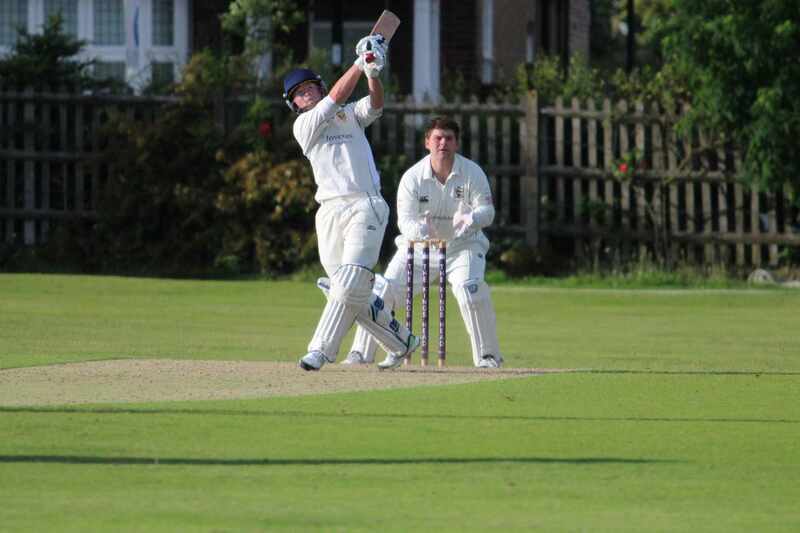 Our annual festival of cricket runs every day from normally in the last week in July and all members are encouraged to book a day off work to play at least one game or come down in the evening for an array of social activities. To see fixtures and results, click here. To find out specific dates for events, contact the club. Playing and training kit is available from our online shop, run by Tacklebag. Orders will be delivered direct to players’ homes/offices. Outdoor Training is held at the Club every Thursday evening from 18:00. There are three nets with an artificial surface as well as a grass net. In addition there is also a portable ‘cage’ which can be wheeled onto the square to practice on an old wicket. We also have a ‘Bola’ bowling machine for members’ use. These take place at Lord’s Indoor School and are always very popular and it is advisable to book in advance with our 1st XI Captain, Jack Brydon. One-hour net sessions have been booked on Wednesdays from 8-9 pm (on a few Wednesday’s the Indoor school is unavailable, we have booked the Thursday of that week – see asterisked dates). Cost for nets will be £9 for adults with student pricing £6. We always have a busy social calendar and there are numerous events this year including Quiz Nights, Barbecues, The Super Sixes, Cricket Week, The Bush Music Festival and more besides. We have a top class cricket ground at SBCC as well as good facilities for our 3rd & 4th XI and all this costs a good deal to keep in excellent condition. Thus we have to charge members both an annual subscription as well as match fees whenever they play. We do not pay players to play for us as we are an amateur sports club and this is against the rules of the league.